SINGAPORE, Asia — Two of Singapore’s leading fitness brands UFIT and GuavaPass have forged a market-changing partnership aimed at providing a more holistic approach to fitness in the city-state. In the wake of similar partnerships, such as last year’s Fitness First Asia and Wexer deal, the two companies have formed an alliance to leverage their core expertise and provide GuavaPass, a leader in the tech fitness space, and UFIT, Singapore’s largest bootcamp provider, a platform to extend their individual reach and attract new clients. “GuavaPass opens up our quality wellness offering to a vast number of people and makes the purchasing and availability of UFIT products very easy for the end consumer,” explained Will Skinner, CEO of UFIT. And GuavaPass Co-Founder Jeff Liu agrees that partnering with UFIT leverages existing synergies between the brands. “GuavaPass and UFIT were both founded in Singapore and have each seen incredible growth, so it was great from our perspective to partner with a like-minded, homegrown brand,” he commented. UFIT, which launched in 2011 as a personal training gym quickly grew to begin offering bootcamp sessions. The multiplatform business now includes physiotherapy clinics, nutrition programs and under its UFIT Performance for Corporates business line, is the official provider of wellness for LinkedIn employees in Singapore. Having launched in 2015, GuavaPass swiftly became the largest social community of premium fitness studios in Asia and the Middle East. Via online and app-based systems, monthly membership, the platform gives users access to unlimited fitness classes and healthy living perks across Singapore, Hong Kong, Manila, Beijing, Dubai and seven other markets. With the Asia Pacific fitness market now worth US $16.8 billion, there are plenty of opportunities for operators to partner up for greater reach and impact. Only two markets in the region are considered mature – Australia and New Zealand – but the penetration rate in Singapore is currently 5.8 percent, a significant increase from the 3.8 percent average measured in 2015. 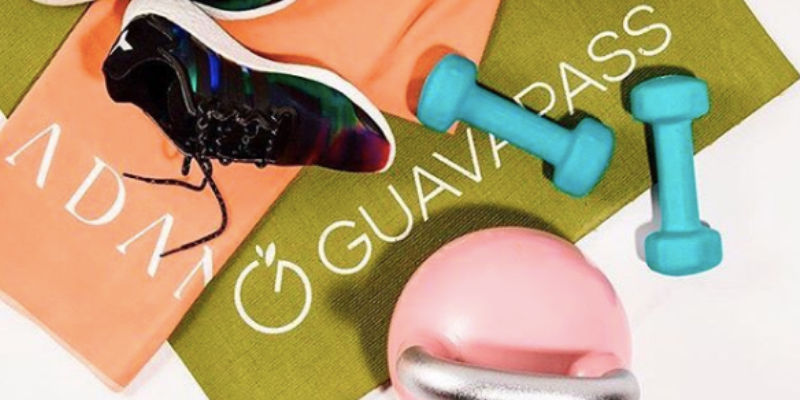 The unique partnership between the two businesses will see the addition of UFIT’s renowned bootcamp classes available exclusively on the GuavaPass platform. UFIT offers over 60 sessions a week in 12 locations across Singapore, making it the biggest and most attended network of bootcamps in the country. “Singaporeans are high adopters of technology and love convenient options like GuavaPass. Customers do not need to purchase a UFIT package to try a bootcamp class at GuavaPass, so it unlocks a new, steady stream of customers for the UFIT brand,” commented Liu. The partnership will also see GuavaPass make UFIT its go-to partner for corporate initiatives and offer its marketing and tech expertise to UFIT to help grow initiatives such as its Clean and Lean Challenge. Unsurprisingly, Liu agrees. “It’s important to collaborate with brands that are synergized with your immediate and long-term goals and aspirations, and that compliment your brand vision,” he concluded.